Fake college degrees have become most common now and it becomes absolutely important for one to get to know about it. Imposters who enter work with fake degrees can lead to a lot of havoc and have to be weeded out in the initial stages itself. Everyone wants to take people from the best schools and colleges. What if there is going to be some forgery made in the names of reputed colleges. In this article, let us understand the ways to zero in on the fake degrees, thereby protecting our interests. If the degree is derived from an online college, check thoroughly for its authenticity. In case a particular online college degree is said to have been obtained from a particular university, do some research about the degree program using the college website. This is one best way to track down the fake ones. Always, keep in mind to check the quality of the paper used for the degree certificates. 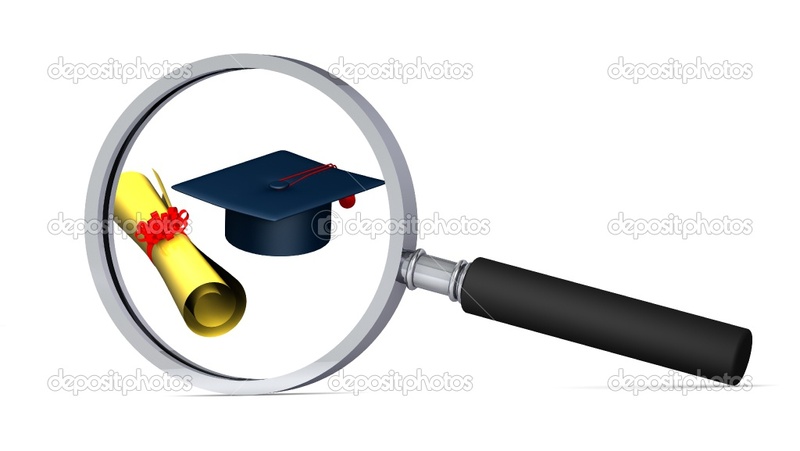 Mostly, authentic degree certificates will be printed on heavy papers for durability factor. Sometimes, the fake certificates can play a trick using a slightly modified name of a popular university. Make sure that you research for the name of the university and confirm that the printed name is the same as the exact university name that you are thinking it out to be. Yet another method is to keep it under light and get to know whether the certificates bears the watermark that are part of reputed institution’s certificates. Next best way to track the fake degree certificate down is compare the seal on the given certificate to that of the original, established seal of the college. Ensure that you read the titles of the degree which will not be in initial form in the original certificates. These are some of the simple yet effective ways that helps one to spot the fake degree certificates.